Even though I fell terribly sick after getting home from Genting, I still went on a River Safari date with bf the next day because he already bought tickets and I already applied leave for the date and I did not want to waste it by staying at home. If I wanted to stay at home I would have taken a MC. I remember reading on the website of Ministry of Manpower that "If an employee falls sick on his annual leave, his absence from work would still be treated as annual leave and not sick leave.".... Hence, I did not even bother to visit the doctor. I was feeling super sad that I fall sick on a day that I already applied leave for! What I did NOT read was the following sentence, "However, his employer may cancel his annual leave and as a concession, allow him to take sick leave instead." AIYA! Now then see, too late already bah! 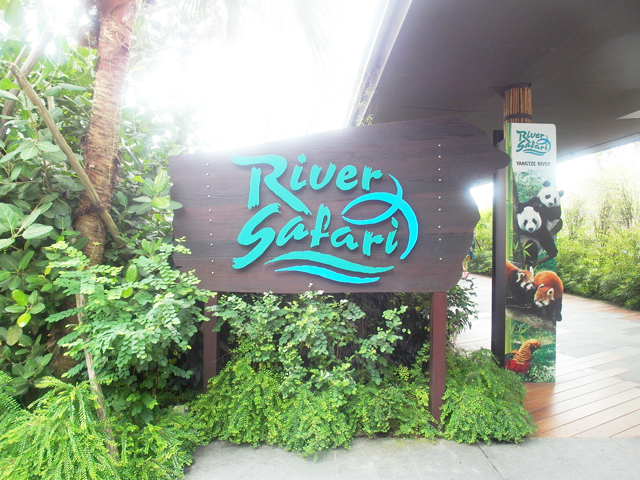 So anyway, we had wanted to visit River Safari since it opened, but we wanted to wait for the Amazon River Quest boat ride to launch before we go. It finally launched late last year, perfect timing for our date! However, when we arrived at 12 noon, we saw a board that says the Amazon River Quest boat ride was fully booked for the day. Wah so fast, 3 hours since opening time and all slots full already! 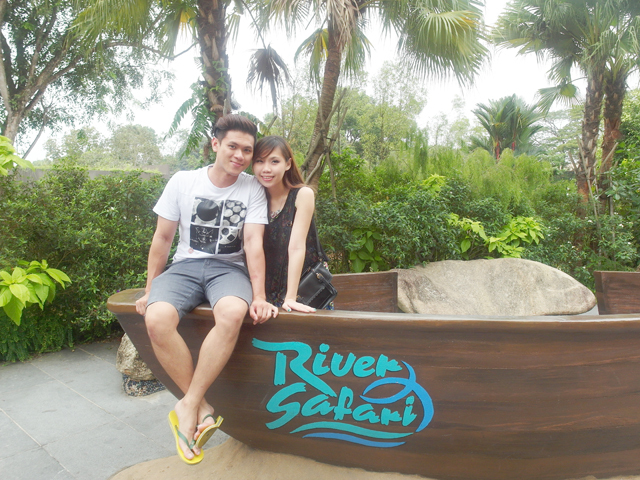 So..... we waited for nothing because we still ended up visiting the River Safari without getting to sit on the boat ride. I suggest you arrive at 9am if you really wanna go on the ride. 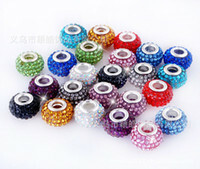 Although my mouth was full of ulcers back then and it was painful for me to eat, my stomach was still hungry. 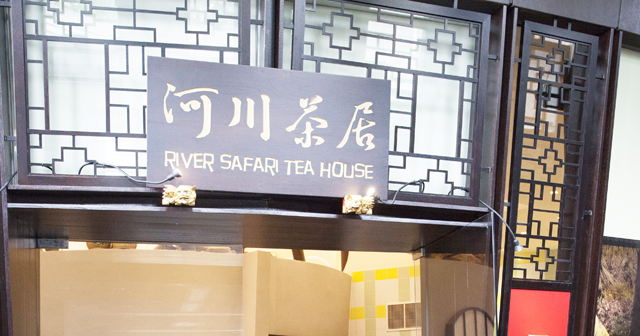 Before entering, we visited the River Safari Tea House located at the entrance. 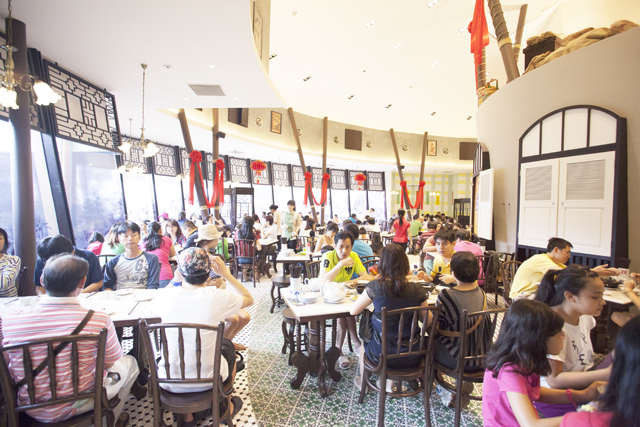 River Safari Tea House sells a variety of popular cuisine originated from local dialect groups like Teochew, Hokkien, Hakka, Hainanese, etc. Something soft to go with my rice, as I couldn't bite into hard stuff due to the ulcers. 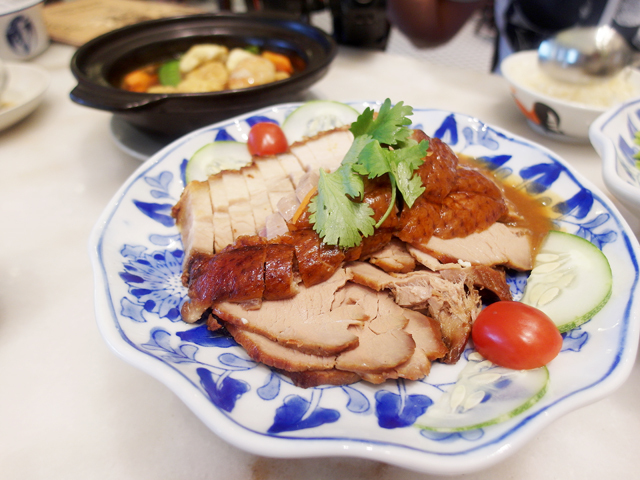 I was glad that we ordered the Trio Meat Combination because the duck meat and roasted pork was really nice! 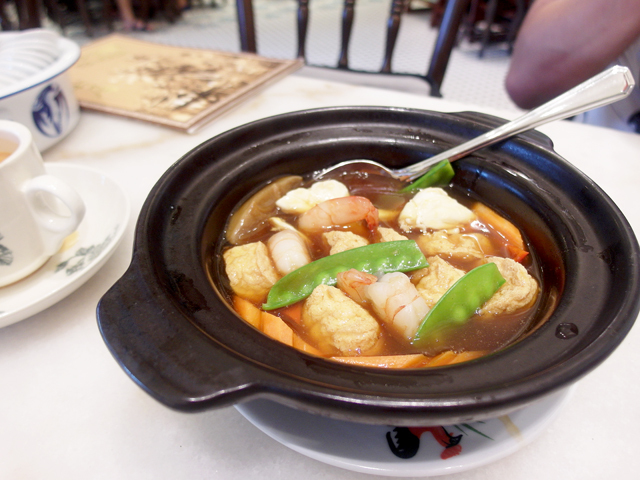 The charsiew fared badly though. 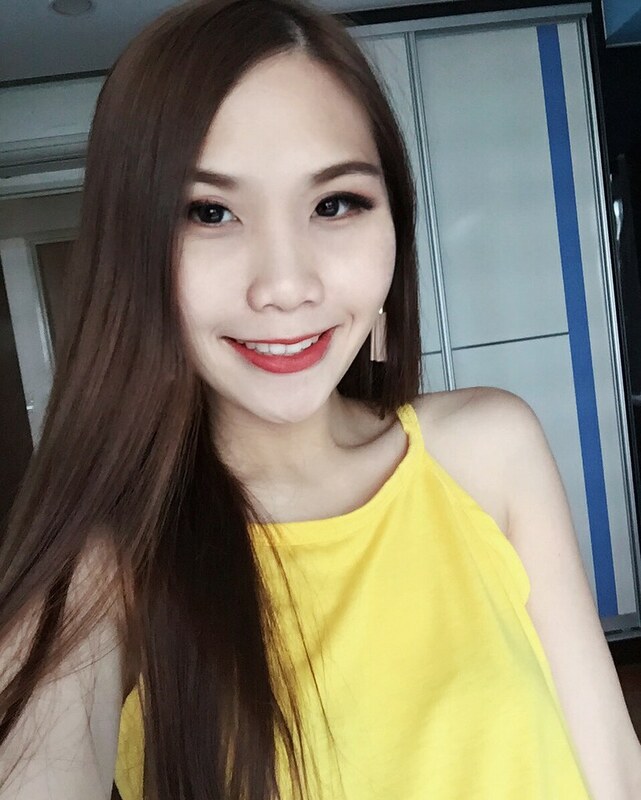 The ngoh hiang was also another miss. Have had better ones outside! Outfit from EARTHDOLL located at Bukit Panjang Plaza #03-21. 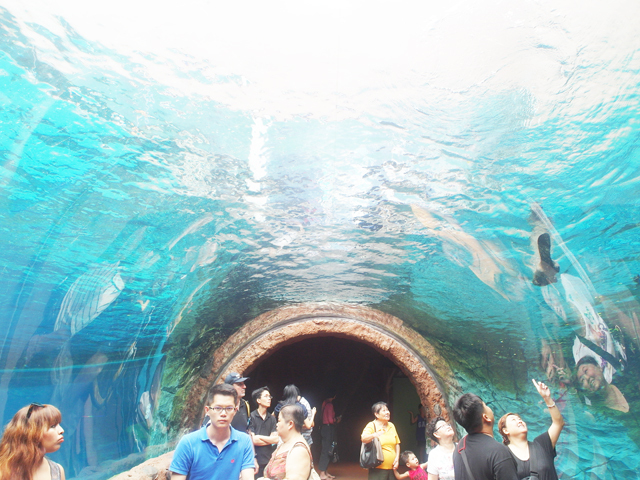 At certain points inside River Safari, I felt that it was quite similar to the Sea Aquarium at Sentosa. 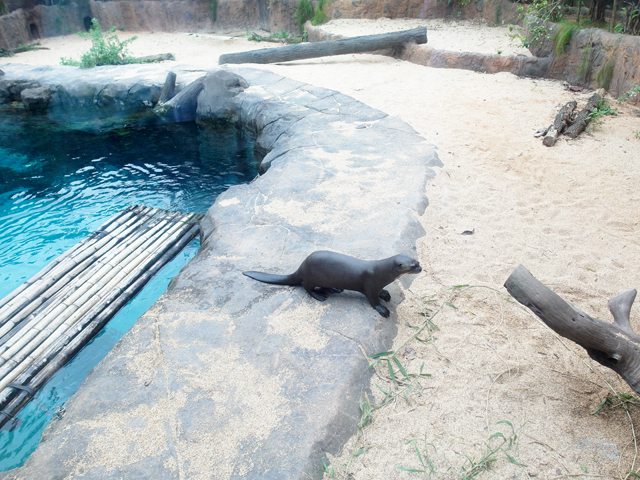 Many aquarium sea animals featured in River Safari. Not sure if it was due to me being unwell, I felt extremely bored, while bf excitedly checked out his favorite sea animals. 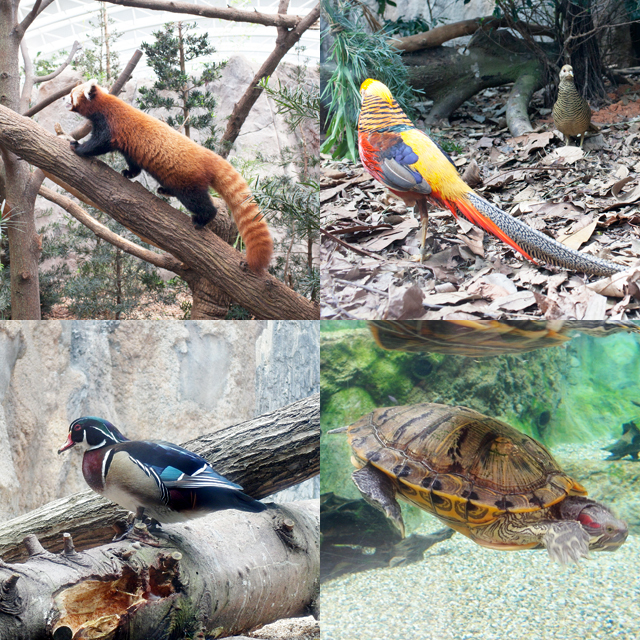 In comparison, I felt that the Zoo had a wider variety of animals (that I recognize) and was much more interesting! I found myself being more interested in the panels that share trivia of the animals than the actual animals itself. Some photo of the animals for your view pleasure in the comfort of your own home! We went into this Monkey enclosure and it was quite exciting because there was no glass panels nor bars separating the visitors and monkeys. The monkeys came quite near us I was so afraid they would perch themselves on my shoulder or something. 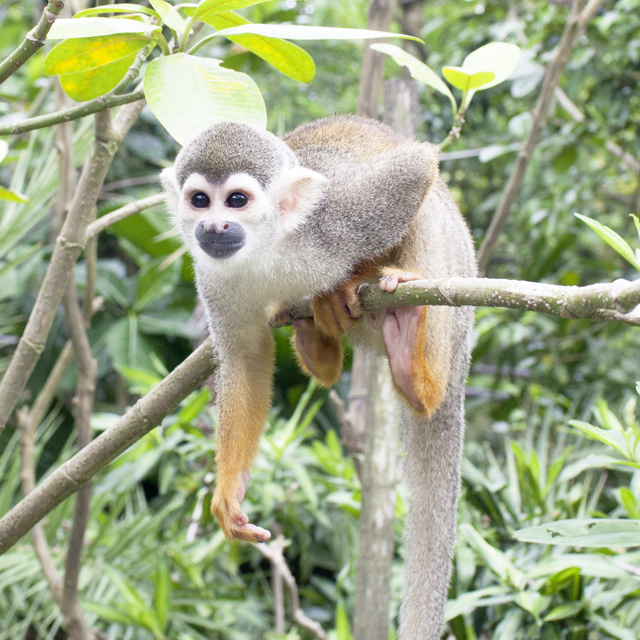 Took this photo because I felt that the enclosure was quite pretty compared to the rest! Looks so luxurious with a pool and a float! Haha. 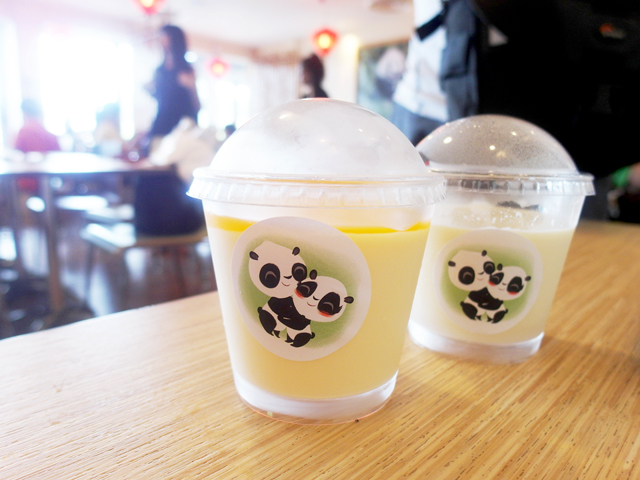 The most interesting part for me, was the panda enclosure! 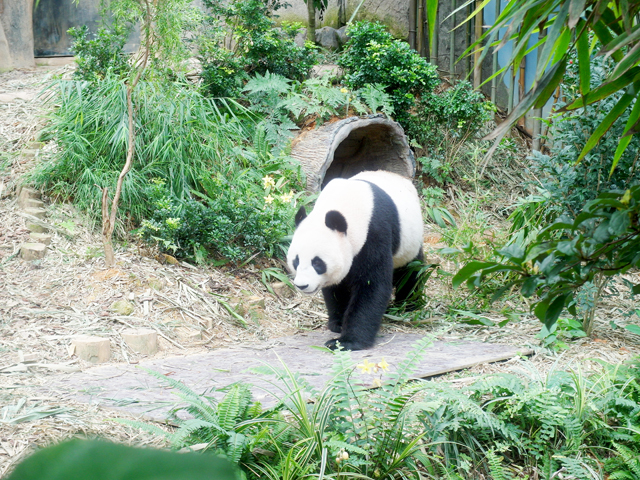 Kai Kai and Jia Jia! 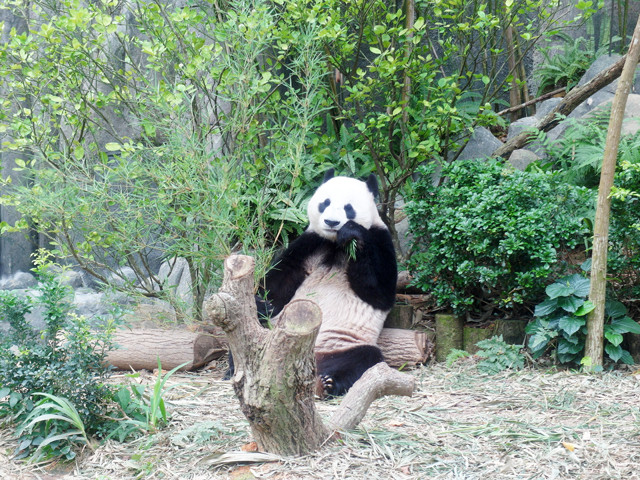 I have no idea how to differentiate the two though... At first there was nothing for us to see because the panda was at a hidden corner and refused go to the area where the visitors can see clearly. 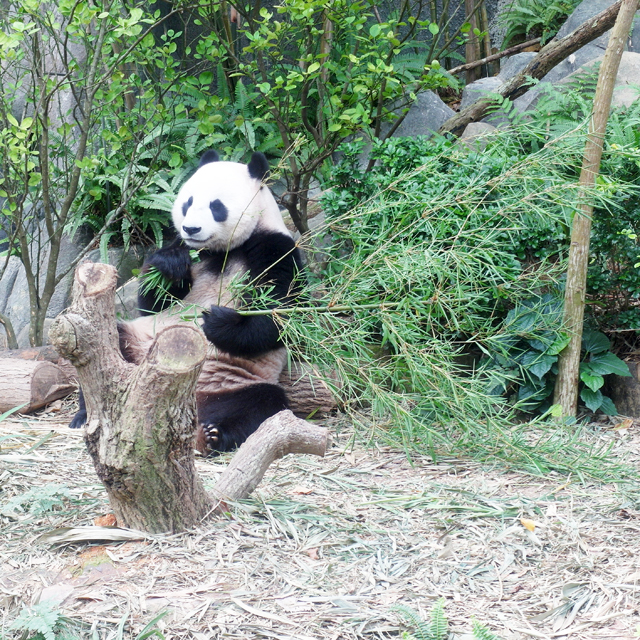 Fortunately, after some waiting, food was brought out and the pandas came out! They look so cute chomping on their food! 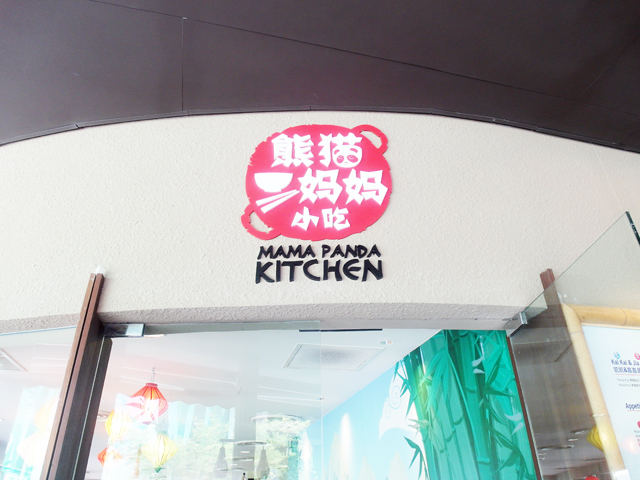 Afterwards was tea time at Mama Panda Kitchen! 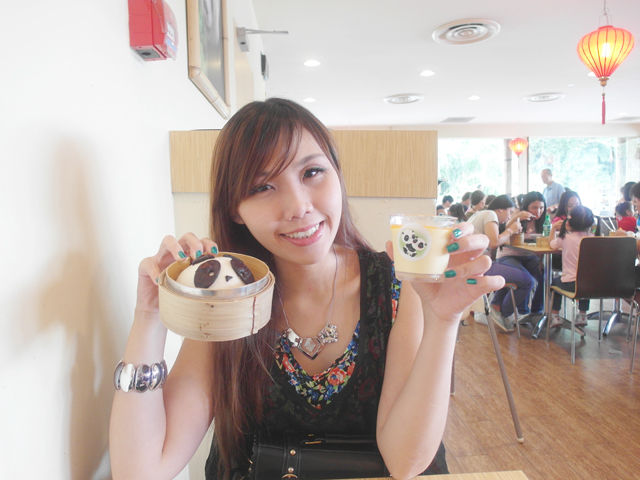 Mango Pudding and Longan Pudding, refreshing treat! The main dish that everyone ordered was this pau that was supposed to look like a panda but I think ours looked nothing like a panda. 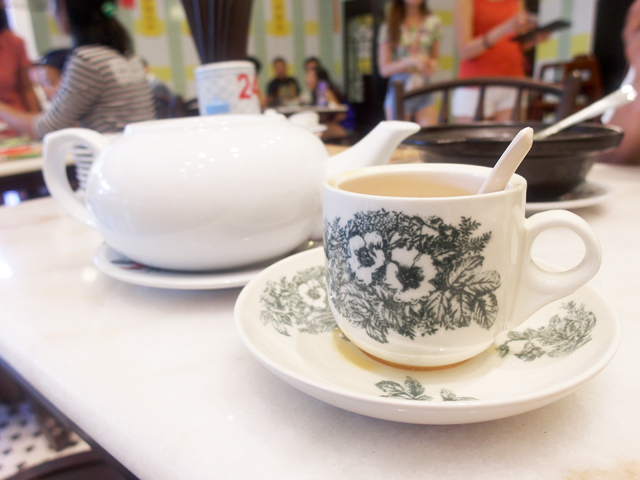 However, the pau was not bad... 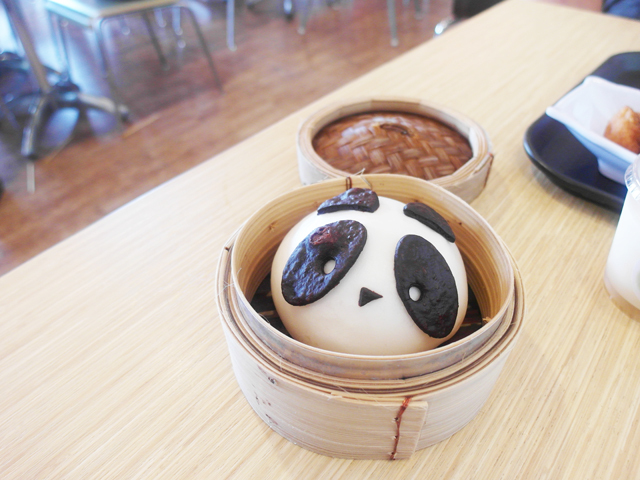 Inside is red bean paste. 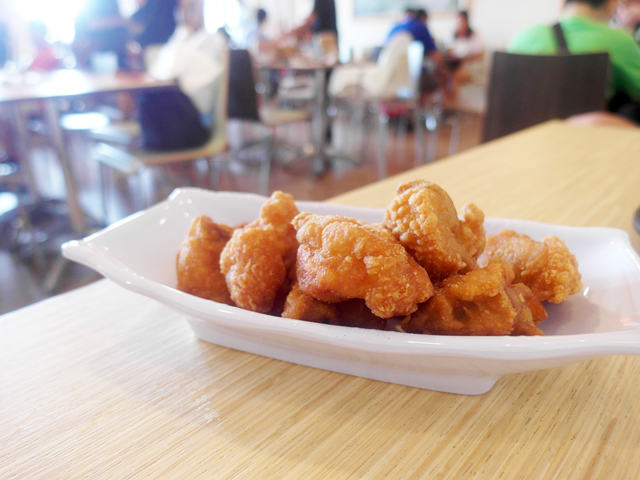 I expected such gimmicky place to serve lousy food but actually quite nice lah! Not super good, but not very bad either. After some more walking, it was finally the end! We went into the souvenir shop where you can see lots of pandas - the soft toy version. Look mum! 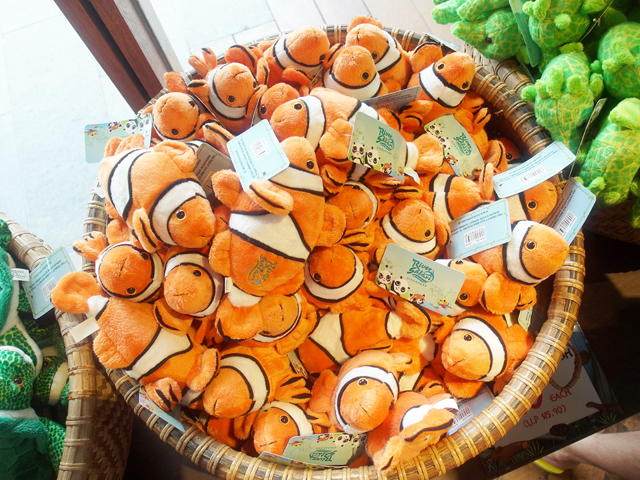 I found Nemo! Haha. 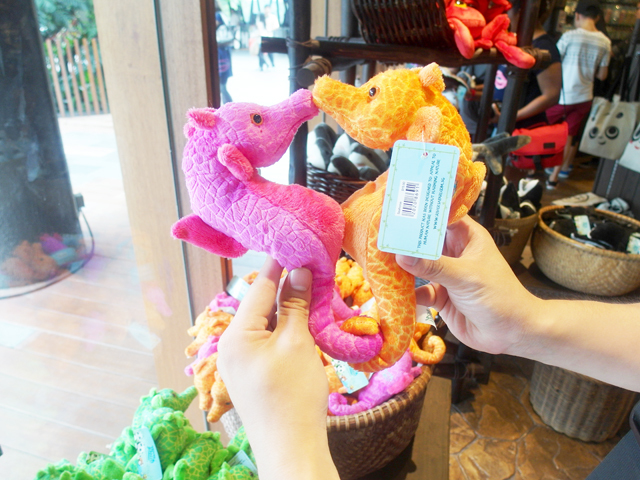 Bf forced the innocent seahorses to kiss. Haha. Photo of us before we left the place!